Where are your old work horses? Don't put them out to pasture! Make them leaders for life. Where do the officers of your association go when their terms of office are completed? 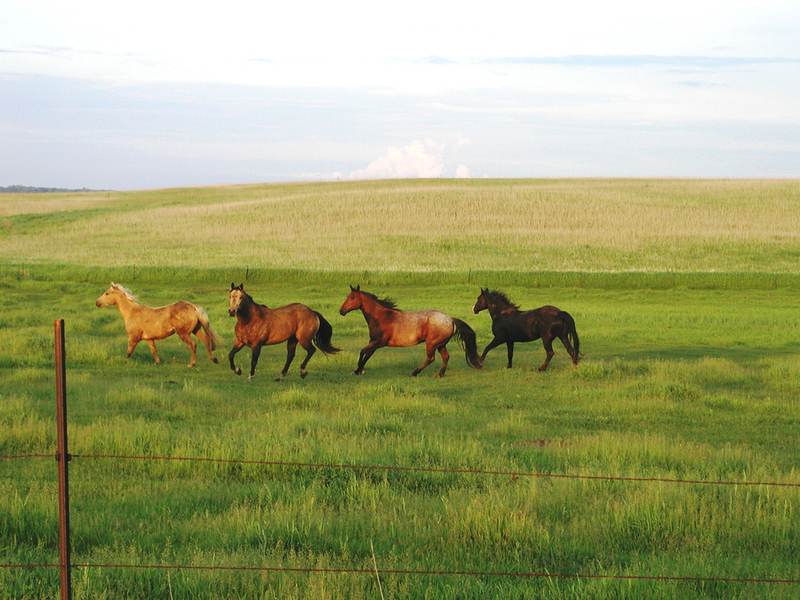 Are they turned out to pasture like these old horses, simply roaming free and no longer concerned with the future of the association? You may think your past officers have earned the right to roam free, but what they have really earned is the privilege of not working quite so hard. These past leaders remain vital to the continuity of the association. Their leadership skills, talent and expertise are needed to keep your association moving forward. 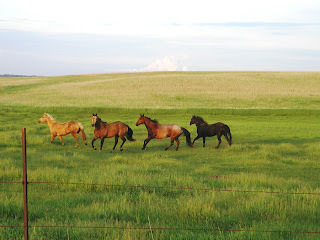 Instead of squandering all that knowledge and experience, harness those old horses and bring them back to the barn. Appoint them Leaders for Life and keep them involved. This doesn't mean the past leaders should be circulated back through the chairs, though. Your association will fold if the same old horses keep on doing all the work. How should you use your Leaders for Life? This is simple. Tell them how valuable they are to your association and ask them what they'd be willing to do. You'll be pleasantly surprised that they're not exactly happy out in the pasture and are willing to help in any way they can. Planning meetings and educational events. Past leaders are pros at planning and they usually have the connections to draw upon to make your conventions a smashing success. Speakers. Past leaders usually have a wealth of professional knowledge and experience and make excellent speakers for your seminars. Ad Hoc Committees. Do you have a short term issue that needs to be handled? Appoint the past officers. Special Committees. Past officers make excellent members of special committees, such as those for scholarships and awards. Liaisons. Appoint the past officers liaisons to special groups, such as the bar association and paralegal schools. Officer orientation. Past officers have extremely valuable experience and knowledge, not to mention their finely honed leadership skills. Bring them in to share this with the new officers as they're taking the reins. Mentors. The experiences of the past offices, as well as their tactful counsel, make excellent mentors for current and upcoming leaders. Certification review courses or other certification-related issues. Your past leaders have "been there, done that" so they are perfect candidates for leading review courses and they're also great cheerleaders for those who are seeking certification. Their history makes them perfect choices when your association has certification-related issues. Become a member of the team. Let them know you will help and assist any way you can. Be available when they need you. Become a steady resource. Nurture, encourage and empower the members and officers. Be sure they're comfortable asking for your advice and direction but don't insist that they do everything your way. Be gracious. You may not always agree with the new leaders, but allow them to forge their own future. Don't say "we did it this way" or "our way was better". Times do change...they need to change...and the 'old way' may not be the best way any longer. Give only what you can. You may not have the time or the energy you once had. That's OK because you can help on many levels. Anything you do for the association is needed and will be appreciated. Be miserly with your criticism and lavish with your praise. Leaders for Life boost members' self-esteem and help them reach their full potential. This is how future Leaders for Life get their training. Set a good example. The members and current officers will learn from your style and your grace. Try not to serve on the Board again. If it becomes necessary for you to take a Board position, do your job without taking over. Let the new leaders have the limelight. Former officers and board members should not simply sit back and let the newer members fend for themselves. While their terms of office are over, they are still leaders of the association and the profession. Their knowledge and expertise, as well as the history they share, are still very much needed. It's up to the current leaders and members recognize their value, invite them back, make them useful, and insist that they be Leaders for Life.